Homes need a locksmith just as much as cars and businesses do. 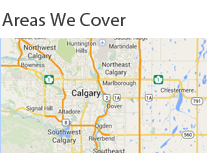 Next Door Locksmith in Calgary is your best choice. We recognize the value of having quality customer relations and so we strive to serve you first. That is why we have company policies like “no hidden fees,” a 30 minute response time and our 24/7 availability, because they allow us to take care of you in the ways that YOU need, not the ways that are most convenient to us. We want to go out of our way to serve you, not make you go out of your way to get help. Your home is a place of refuge, a shelter from the storms of life and the world around you. It is your most protected place; it’s the place where you keep your most precious possessions and where your family lives. Any homeowner who values his home, family, and possessions will want to keep them as fiercely protected as he possibly can. For this reason, homeowners like you need a reliable a licensed and credible Calgary residential locksmith. You can find this in Next Door Locksmith. We offer all locksmith needs for residential homes, including key replacement for lost keys, lock replacement, repair, maintenance, window locks, door locks, and more. Professional locksmiths don’t seek to cut corners. You want to make sure that the company you seek out is licensed and authorized as a locksmith so that you’re not getting cheated with unlawful and poor quality service. You also want to make sure that the company technicians are all trained and experienced and that they’re equipped with all the right pieces to do the job correctly. These are policies that Next Door Locksmith holds to; it’s a professional residential locksmith you can always come to, no matter what your needs are. Next Door Locksmith offers an impressive range of lock & key solutions. For residential services in particular, we can rekey a deadbolt, cut new keys, and change the locks. If your keys have been stolen or lost or if you’re a new homeowner/renter and you don’t want to risk a previous owner gaining access to your property, call our residential locksmith team. We can get new locks put on there right away so that you and only you can get into your home. Additionally, we offer garage door locks, iron gate locks, cabinet locks, window locks, lock picking, installation and maintenance, and more. Our residential locksmith services are extensive for your complete customer satisfaction. Call Next Door Locksmith Calgary for a professional residential locksmith that’s available any time of day or night and that will arrive within 30 minutes of your call. You can also contact us for any automotive locksmith, commercial locksmith, or emergency locksmith needs.